he California Supreme Court denied a petition filed by Tulare County Superior Court Judge Valeriano Saucedo of Lindsay asking the State’s high court to do an independent review of the decision to remove him from office. There was no opinion issued by the court, just a denial following a conference to determine the merits of Judge Valeriano Saucedo’s do’s petition. 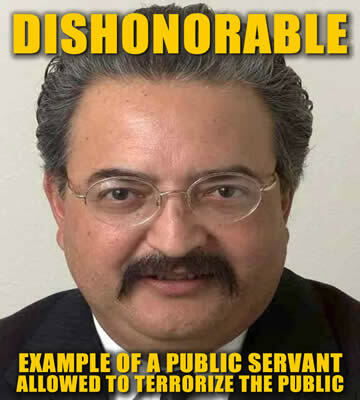 Judge Valeriano Saucedo’s attorney Randall Miller filed the petition for review on March 1 appealing a Dec. 1 ruling by the Commission on Judicial Performance that Judge Valeriano Saucedo be removed from office for willful misconduct, the most serious constitutional basis for censure or removal of a judge. The charges stemmed from a three-month period from mid-September to mid-November 2013 when courtroom clerk Priscilla Tovar claims Judge Valeriano Saucedo attempted to have an inappropriate relationship with her and harassed her through extensive conversations via text messaging. Judge Valeriano Saucedo testified he was attempting to mentor Tovar as he had done for many others in the past. The conduct began when Judge Valeriano Saucedo claimed an unsigned, sexually explicit letter arrived by mail at his home, accusing his then courtroom clerk (Tovar) of having an affair with court bailiff Jeremy Knoy. The next day, the judge informed Tovar of the letter and offered a plan to help. During the next two months, Judge Valeriano Saucedo sent Tovar about 445 text messages, gave her approximately $26,000 in gifts, including a BMW automobile and a Disneyland trip package for her family, and provided legal advice to her son. The conduct ended when Judge Valeriano Saucedo accused Tovar of extortion after depositing $8,000 into her bank account. Tulare County Superior Court Judge Valeriano Saucedo, a judge for more than 14 years, was ordered removed from office Tuesday for having an improper relationship with a court clerk and lying about it. His removal by the Commission on Judicial Performance was immediate. The action becomes final in 30 days unless Judge Valeriano Saucedo files a petition with the California Supreme Court to review the case. Reached by phone, Judge Valeriano Saucedo said he had no comment. Removal from office is rare. Only six judges have been removed from office in the past 10 years, according to commission statistics. Judge Valeriano Saucedo violated judicial ethics in how he handled himself during the relationship with his clerk between mid-September and mid-November 2013, the commission said in its 60-page decision. The commission said Judge Valeriano Saucedo wrote an anonymous letter accusing the clerk in crude terms of having an affair with a bailiff and then sent it to his own home. The worst part is Judge Valeriano Saucedo will never be equally prosecuted for his crimes an abuse, he’ll retire and keep his benefits like all dishonest judges. They’re rewarded for their bad behavior. Thousands are victimied but only 6 were stopped.